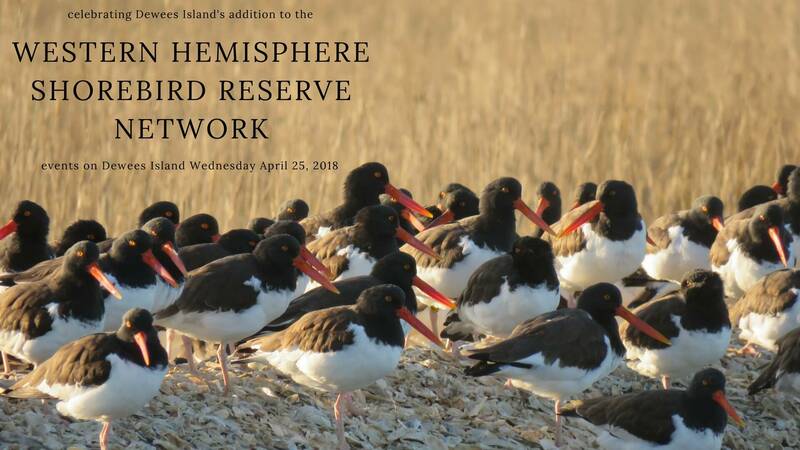 Here on Dewees Island, we are working to preserve and maintain habitat for nesting, feeding, and resting shorebirds, and our efforts have gained us inclusion in the Cape Romain region site of hemispheric significance with WHSRN. (Western Hemisphere Shorebird Reserve Network). It is a site of international significance because the entire region hosts more than 10% of the flyway population of American Oystercatchers and Short-billed Dowitchers. This week is the official start of the celebration. The current Cape Romain Region has been extended to include all coastal lands from Dewees Inlet north though Yawkey Island Reserve into the Winyah Bay. 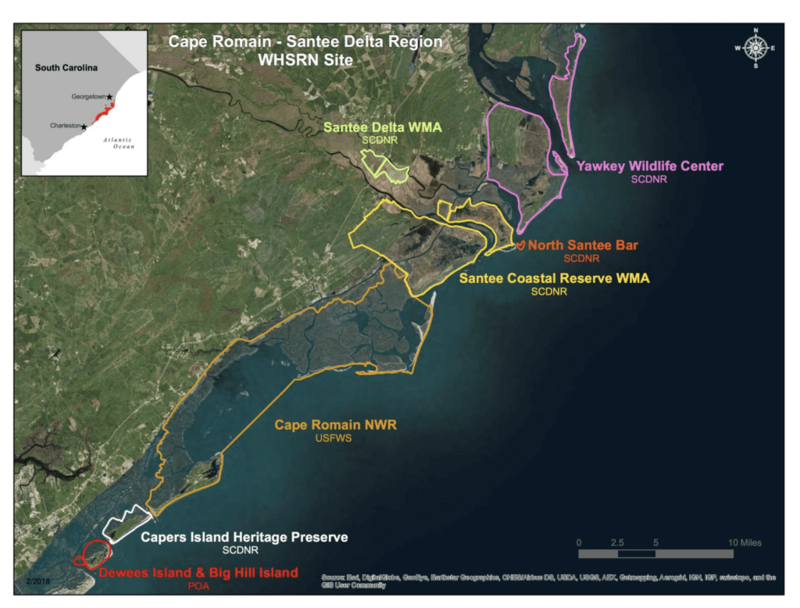 The new site name for this expanded region (including Dewees Island and Big Hill Island) is the Cape Romain – Santee Delta Region. This region includes a total area of 119,440 acres. A map of the region is below. This region is comprised of ownership of Federal – Cape Romain National Wildlife Refuge, State – Santee Coastal Reserve Wildlife Management Area, Santee- Delta Wildlife Management Area, Tom Yawkey Wildlife Center Heritage Preserve, North Santee Bar, Capers Island Heritage Preserve and Private – Dewees Island and Big Hill Island. In late February, South Carolina Audubon sponsored a trip to Panama, where we had a chance to see another WHSRN site with tens of thousands of wintering birds. Many of our birds winter in the tropics and nest in the Arctic, using Dewees as a valuable stopover along the way. 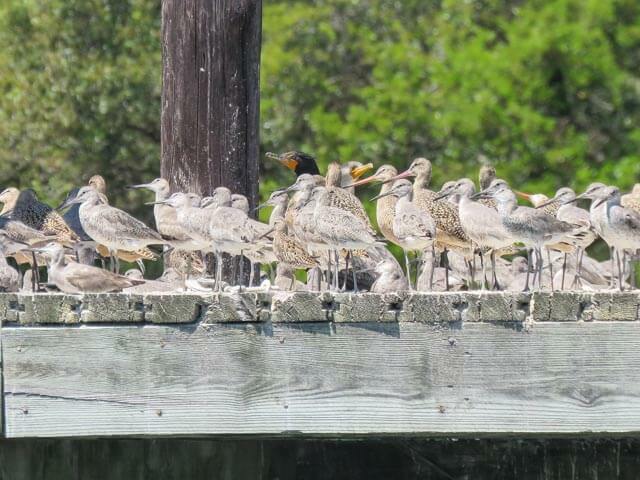 There are a number of celebrations this week, in conjunction with DNR, and Cape Romain, and WHSRN. On Wednesday night, we’ll be hosting that celebration here on Dewees Island. Please join us on Wednesday at 4:30 for a social, with a presentation from 5-6 on the History of the Coast Presentation and WHSRN Dedication, with more social activities to follow. RSVP here. It’s part of our community culture of respecting the environment and creating habitat for birds AND people. We provide habitat and protection for resting, feeding, and nesting birds. For more information on identification of our birds, click here. Closing beach areas near nesting sites of Wilson’s plovers and least terns to prevent intrusion by people. Placing shorebird nesting education signs on beach access paths. Maintaining limits on public safety use of beach vehicles on front beach during shorebird and seabird nesting periods. Big Hill Island is a 175 acre island of Spartina alterniflora and shell rake edge bordering the Atlantic Intracoastal Waterway. It supports nesting American oystercatchers and fall, winter, and spring roosting shorebird flocks often numbering in the 100s. Management is primarily to close the shell rake area to human disturbance during the nesting season. Here is the whole announcement from SCDNR.